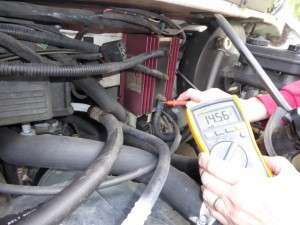 Nearly every motorhome owner will at sometime experience a charging problem with their house battery. Note that even if you have two (or more) house batteries we will use the single term battery in this article. It is important to be able to do some basic troubleshooting yourself to fix the problem. 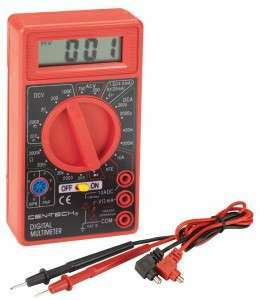 Your will need a multimeter (sometimes called a VOM or Volt Ohm Meter). A basic multimeter from Harbor Freight can do what you need for $5.99. Or you can spend a lot more on a more versatile multimeter. If you find you have a problem with either your house or vehicle battery getting charged, it is important to check your isolator or separator. Since our Class B has an isolator, we will describe how to find out if the isolator is the source of your charging problem. We will assume you have lead-acid batteries (either AGM or wet cell), which have a fully charged resting voltage of about 12.7 volts. The isolator will be mounted under the hood, close to the alternator. Location will vary from an obvious spot on the firewall to practically hidden under the engine battery. If you have trouble finding the isolator follow the big electrical cable from the alternator. It will lead to the center binding post of the isolator. If you don't know what your alternator looks like, follow the big wire from the positive (+) terminal of your engine battery. It will lead to one of the terminals of the isolator. The isolator on a Chevy will have 4 posts (an additional smaller post), while the isolator on a Dodge will have 3 posts. 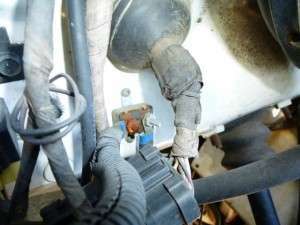 The isolator (Dodge shown) in the photo has the middle wire going to the alternator, the top wire going to the engine battery, the bottom wire to the house battery. 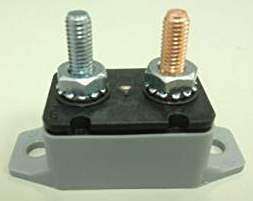 The isolator is like 2 one-way valves for electricity (which are called diodes). It will allow current to flow from the alternator to each battery, but will not allow any current to flow the other direction. There will be some voltage drop across the isolator. You will need a multimeter to do measure the voltage. A low cost Harbor Freight model is shown to the right. It includes a diode test function as well. In the photos of this article we used a more expensive Fluke multimeter. To find out if the isolator is sending charging current to your batteries, start your engine and check the voltage at the center post that comes from the alternator. Put your meter on the 20 volt DC setting. Put the red probe of your meter on the center post and touch the black probe to ground – any metal of your engine or frame or negative post of your engine battery is ground. 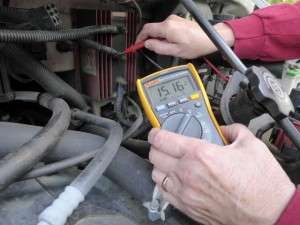 You will see the voltage your alternator is putting out at idle. If you step on the gas the voltage will increase a little. One source we read said the alternator should be putting out 13.6 to 15.8 volts, depending on battery condition and the state of charge. At the left the alternator is yielding 15.16 volts at idle. Next check the voltage going to your engine battery. Change your red lead to the top isolator post going to the engine battery. You will find that the voltage is lower because there is a voltage drop across the diode, yet it should still be expected range for charging a battery (above 13.6 volts). At the right you can see that the voltage is 14.3 volts. Clearly our engine battery is being charged. 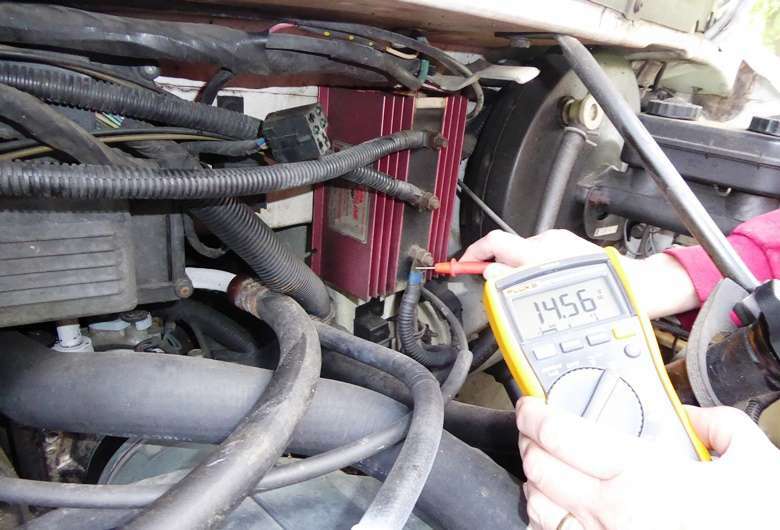 Your voltage numbers may not be identical, but should be in the ballpark. The voltage will change with the state of change of the batteries. Now check the voltage on the post going to the house battery. That is the bottom post for our isolator. It should be similar to the value from the top post, but don't expect them to be identical. Shown at right we have 14.56 volts. So it is clear that our isolator is charging our batteries. However there are other things that can prevent the batteries from charging. Check the voltage at your batteries. If you are not seeing close to the same voltage at the battery as at the isolator (minus some small voltage drop over the wire), you have another problem. If the voltage is 12.7 volts or below, you are probably only seeing the battery voltage and no charging at all is occurring. If you have a problem with the engine battery not charging, check the battery connections and the ground connection. Some Chevys were notorious for hidden corrosion in the battery connectors. If the problem is your house battery, there are 2 self-resetting circuit breakers in the long electrical wire running from the isolator to your battery – one near the isolator and one near the battery. Follow the wire to find them. To the right is a photo of the circuit breaker near the isolator (one rusty terminal). These breakers can fail in the open position and no charging current will be reaching your battery. So check the voltage at the output of each breaker to make sure you don't have an open circuit. Replacement auto-reset breakers are available at auto part stores. Or you can buy from Amazon or other online suppliers. But sure to get the same amp rating as your original circuit breaker. Of course you may find that the necessary voltage is present at the battery for charging, but your battery is not getting charged. In that case, have your battery tested free at an auto parts store. You may need a new battery. 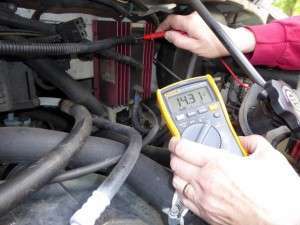 But if you should discover in the middle of a trip that your engine battery is not being charged because the isolator is bad, you can get out a wrench and move the engine battery wire to the same terminal as the alternator wire and have a temporary solution to the problem. This test was to see if the isolator is allowing your batteries to be charged. 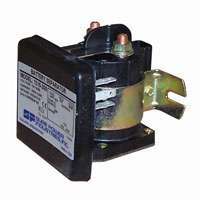 Isolators can also fail by connecting the engine and the house battery. This allows your engine battery to be depleted by the use of your RV appliances. And unmatched voltages between the two batteries will result on the higher voltage battery trying to charge the lower voltage battery which can shorten the life on both batteries. By measuring the voltages on the 3 isolator terminals with the engine off, you can see if the voltage from either battery is showing up on the alternator terminal (which should be zero with the engine off). Even if you will never test your own isolator, you need to know about it. Most mechanics work on cars not motorhomes, and make not expect an isolator in the system. 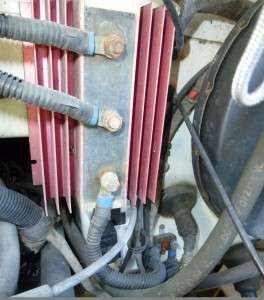 More than one RV owner has had their “bad alternator” replaced when the problem was a bad isolator! Excellent article! If ya’ll weren’t teachers you should have been! Thanks you.